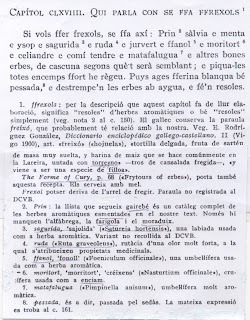 OCat moritort, Cat morritort, L Lepidium sativum, Eng. garden cress, watercress, peppergrass. The plant traveled from Babylonia to Egypt in the times of the pharaohs. Pliny knew it. It came to Andalusia where it is picked around June, just before or after the flowers open. Since Roman times, it has been used as a salad herb with its white flowers, dry fruit with two seeds. It was common in English medieval herb gardens. The greens have a biting peppery taste. The more mature the plant, the hotter the leaves. In Andalusia it was also used to flavor salmuera (salt brine [see almorí de pescado]), marinades and pottages. Generally, it is not used medicinally, although it contains a natural antibiotic. In Al- Andalus it was used as a diuretic for stomach pain. Wash and chop herbs. Set aside. Sift flour and yeast. Add water little by little until smooth. Add herbs and mix well. Cover and let sit in a warm spot for one hour. Heat oil in a frying pan. When hot drop spoonfuls of the batter into the oil. When browned remove from oil and place on paper towels. Serve warm with dip. Mix all ingredients. Place in a small serving bowl, cover and refrigerate over night. Serve at room temperature. This is a forerunner of croquettes. 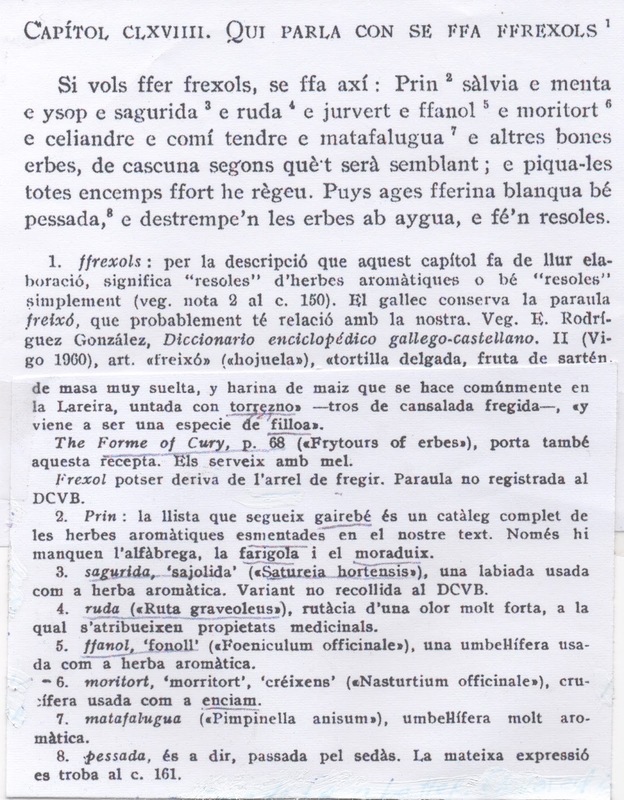 The Forme of Cury, p. 189 calls this “fritters” or “fried cakes” and lists the recipes for this in the manuscript. 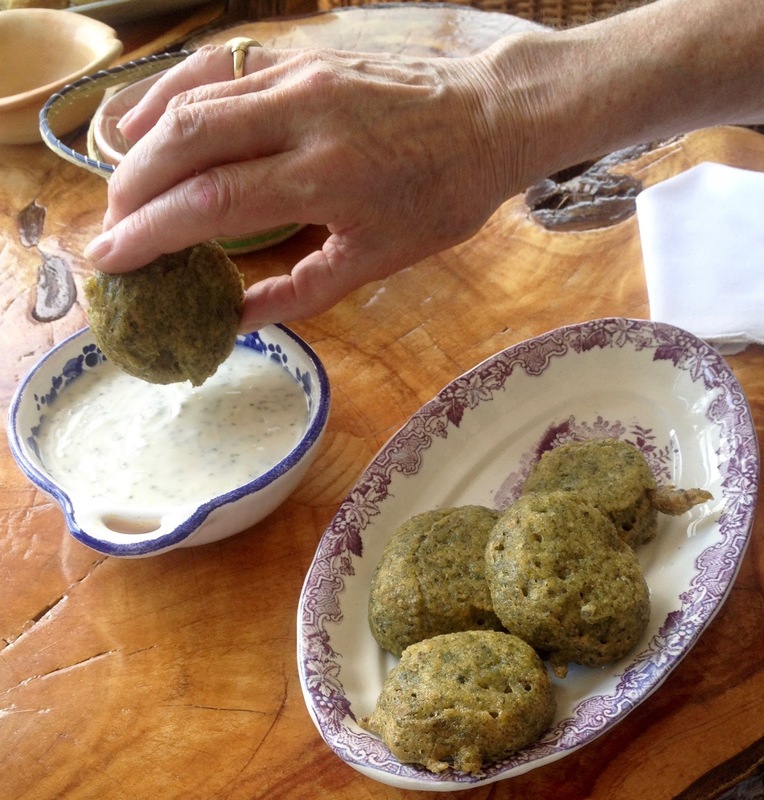 The one calling for herbs, IV:156, p 132 drizzles the fritters with honey when done. 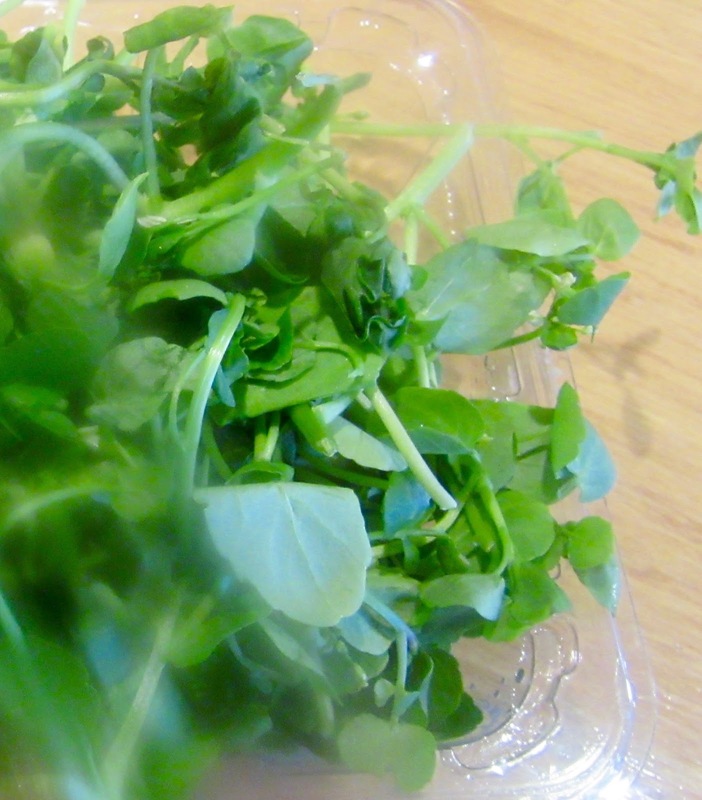 Sent Soví calls for “all good herbs:” all good herbs such as watercress, mint, cilantro, hyssop, parsley, sage, savory, fennel, rue, cumin and anise. The Medieval Spanish chef used what was available. These included ¾ c of watercress, ¾ c mint, 1 tbsp chopped cilantro, 2 tbsp parsley flakes, ½ c sage leaves, 1 tsp ground cumin and 1 tbsp anise stars. Items that were not chopped were put in the food processor with water and then strained and mixed with the other herbs.